This really good show took place in a small venue before very devoted crowd. Ed was in beautiful vocal shape, and closed the show with memorable almost a-capella "Indifference". For "I Got Id" he messed up lyrics and had to restart the song. This is an audience video of the full show, with very good sound. Picture quality is average VHS copy, couple of gaps between the songs are missing. could you please upload other mirror for this DVD? Yes, I'll do it a bit later. great work Mike.thanks for posting so many great shows. 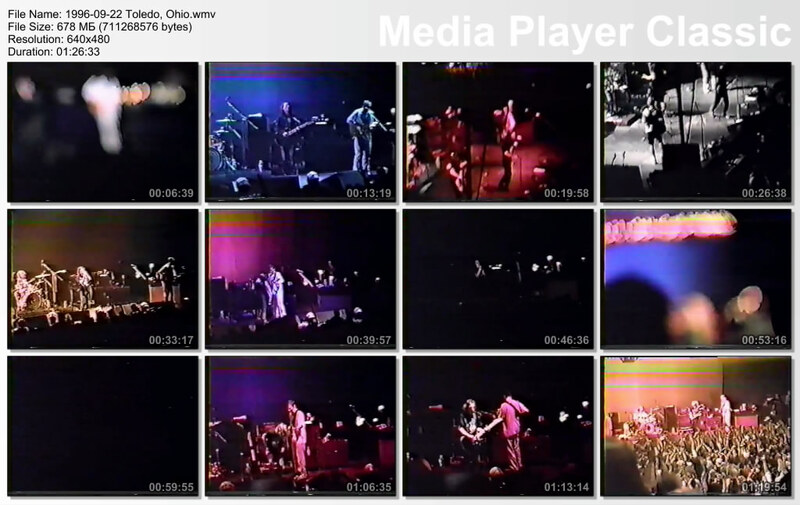 (1996_Toledo_(DVD).part01.rar) it seems to be wrong. it appears as 2011 Lima (DVD-DL).part14.rar. Thank you very much for letting me know, fixed!